Tomas Corrigan shone as Fermanagh beat Laois while Antrim stayed top of Division Four with victory over London. Corrigan produced a superb display with a 1-11 tally in Fermanagh's comfortable 1-17 to 0-10 win in the Division two clash at Brewster Park. 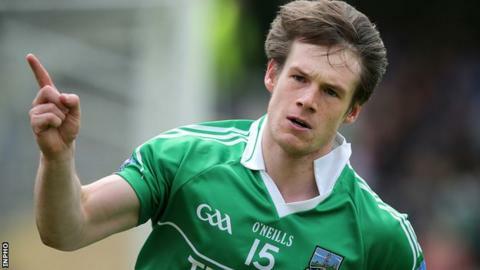 The two points boost Fermanagh's prospects of avoiding relegation. Antrim had a tougher test in Ruislip and Kevin O'Boyle's early goal proved decisive as they edged the Exiles to clinch a 1-11-0-11 victory. The visitors were pushed hard by a determined London side, with the teams tied on three occasions, all in the second half, until Antrim pulled away with four of the final five scores to take a three-point win. London bagged two early points but O'Boyle's goal handed Antrim a lead they wouldn't relinquish until the ninth minute of the second half. Antrim led 1-5 to 0-7 at the interval before London seized control on the restart, but a string of black cards threaten to derail the quality of football on show. McBride went for Antrim, while Cormac Coyle, Moyles and Adrian Hanlon were dismissed for the hosts - all in a 15-minute spell. The sides were tied at 0-10 to 1-7 following Hanlon's dismissal with 11 minutes remaining. Conor Murray took control with two impressive points from play, and Antrim stayed ahead until the end, with strong pressure on their defence late on, to remain unbeaten. Corrigan confidently rifled the ball to the roof of the Laois net after 12 minutes and scored 1-8 in the first half in a great team display by Fermanagh. With regular free-taker Sean Quigley suspended, Corrigan stepped up and converted seven out of nine kicks. It was Fermanagh's 11th game in a row unbeaten at home and could go closer to securing their league status with a win over Ulster rivals Cavan next Saturday. Fermanagh held a 1-10 to 0-4 advantage at half-time but the second half was a non-event, with Laois lethargic and disinterested. Their manager Mick Lillis was sent to the stand by referee Marty Duffy early in the second half. The hosts led 1-17 to 0-6 with eight minutes to go and took their foot off the gas, allowing Laois a mini reprieve and they kicked the last four points.